How can it be that we speak about nodes, lunations ad eclipses in the same article? All of them are heavenly measurements related to the Moon's orbit around the Earth. Transiting lunation cycle starts from the New Moon every month and completes the cycle every month. It starts form the New Moon, in the period when both Sun and Moon share the same degree of the zodiac sign or in other words conjunct each other on the ecliptic. For instance, on the 12th of March, 1994 the New Moon was at 21degrees Pisces. The next New Moon was on the 10th of April at 21 degrees Aries. As the Moon's cycle is 27 days and 12 hours, we can see it every month. This period is associated with the rise of power, new beginnings, motivation and wake of the best ideas. A good thing to do is to follow the New Moon every month and check in which house it is, which planets are around or close to make an aspect to it. Here's an example: 21 degree Pisces in the 3rd house with natal Saturn which means that the refreshing energy of the New Moon will influence your intelligence, the atmosphere around you and contacts from the Saturn's impact. Keep following the houses where the next New Moons will appear to know when to start things that you've planned. Also, look at the angles of the chart and check whether there is a planet in 3° of the exact degree. Look in the planet in the house, and even if the New Moon is in an empty house, it will still symbolize the beginning according to the house of the Moon. When the Sun and the Moon are 180 degrees opposite each other on the ecliptic it is a time of the Full Moon. The Full Moon comes approximately 14 days after the New Moon. Let's take another example from March,1994, when the Full Moon was on the 27th day, and the Sun was at 6 degrees Aries and the Moon - 6 degrees Libra. In April the next Full Moon was on the 25th day at 5 degrees Scorpio. It is important to understand that the Full Moon locations are given for the position of the Moon, and the Sun will be on the opposite degree of the wheel. You can follow the Full Moon, as you do it for the New Moon with houses, aspects, angles etc. The Full Moon represents the changes, actions with a bit of drama, it is the time of the month when the passion is higher and everything is perceived sharper than it is. The cycle of New Moon to the Full Moon appears every month, but sometimes, when some astronomical events occur at the same time with lunation we observe an eclipse. It happens when one celestial body shadows out another one. When there is a solar eclipse, the Moon is situated between the Earth and the Sun, and from the Earth we can't see or almost can't see the sunlight. If the eclipse can be seen from the Earth, it happens during the day. We will see the diluted sunlight and the silhouette of the Moon on the Sun's body. If the eclipse is total, it would seem like there is no Sun, and it is extremely rare and amazing thing to observe. The solar eclipse can be only in case of the New Moon, and the lunar eclipse is only possible during the Full Moon. 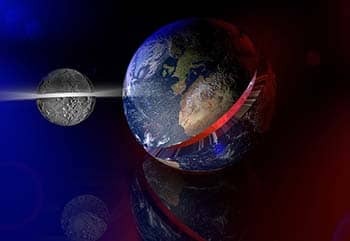 It happens when the Earth is located between the Sun and the Moon and the Earth's shadow hides the moon fully or partially. If the Moon's eclipse is total, we will see how the Earth shadow fills the body of the Moon, making this scene dramatic and a little bit mysterious. The Moon is associated with the memory, with our past, and during the eclipse we can resolve our inner questions that bothered us in past, or we can finally understand our mission. The nodes are the points on the Moon's orbit, if it is expanded on a platitude, which cross solar orbit. Synastry is a special branch of astrology. 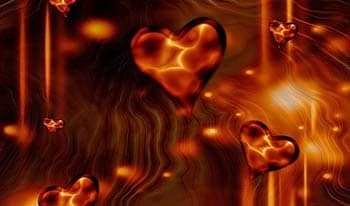 It is the Astrology for love. It can show the level of how close people are and can become. 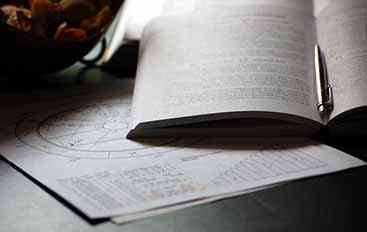 Synastry analyzes three features: Elements in the chart, House Overlays, Synastry Aspects.